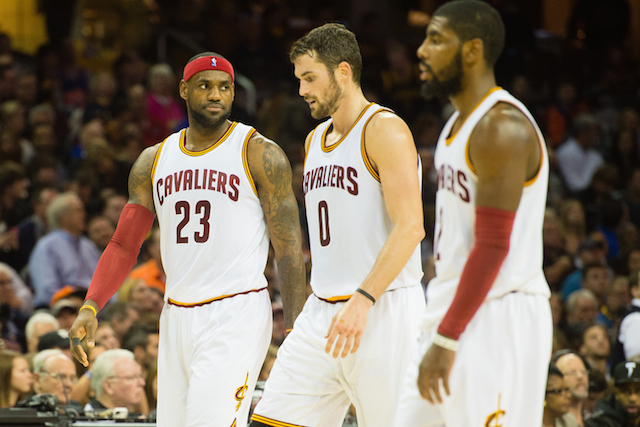 Last seen losing the NBA Finals to the Golden State Warriors in June, the Cleveland Cavaliers will enter the 2015-2016 regular season as the favorites in the Eastern Conference again. That is fairly obvious — LeBron James came close to upending the Dubs all on his own a few months ago, and who knows what would have happened in the championship had Kevin Love and Kyrie Irving been active? Maybe the Warriors would still have emerged triumphant, but perhaps the Cavs would come away with the Larry O’Brien trophy. What we know for sure: Cleveland will start their 82-game slate with their Big Three intact, they will have a massive target on their back, and they almost certainly want to take last season’s successes one step further. All that is to say that while most of the Eastern Conference figures to have very little shot at dethroning the defending Eastern Conference champs, there are some squads that might have better odds than others. Here are four Eastern Conference teams other than the Cavaliers who will have the best chance at making a NBA Finals run, ranked from least likely to most. The very youthful Milwaukee Bucks fought hard and surprised many in their first round matchup last spring against the Chicago Bulls. 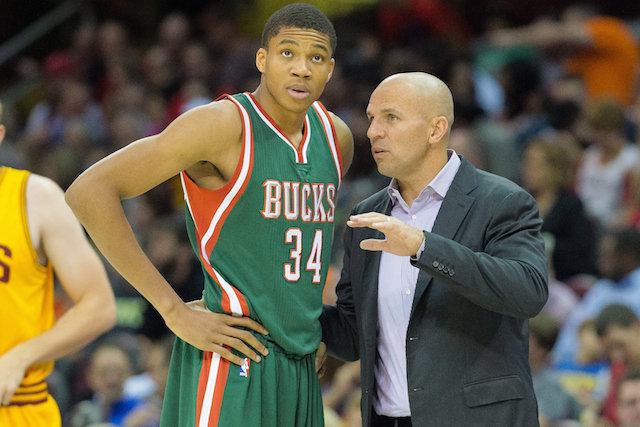 Under first-year head coach Jason Kidd, the Wisconsin group pushed the heavily-favored Bulls to a six-game series before dropping out. They were already pinned as a strong, up-and-coming team with lots of potential by those paying attention before the off-season began., then they added a rebounding machine in Monroe. A distinct advantage for Kidd’s squad is their length, and up and down their roster, they possess much of it; something alone that will keep them in most games. Look for the return of Jabari Parker — who was well on the way to staking a claim for Rookie of the Year before tearing his ACL last season — to have a positive impact as well. Like the Bucks, the Wizards contain very big bodies on their roster, although in this case we’re primarily talking about their frontcourt. Marcin Gortat and (a healthy) Nene make up a very gritty, hard-working duo down low that can put up points in bunches and create plenty of second chance opportunities. What sets this team apart though is the back court of John Wall and Bradley Beal. This duo has the potential to be the top starting guard combination in the East and can carry the team to long win streaks, particularly tface. The Wizards should be able to withstand the loss of Pierce and make another run in the playoffs. 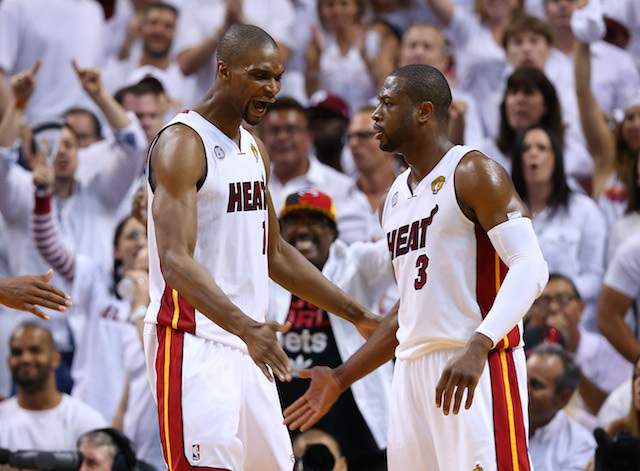 It was pretty weird not seeing the Heat in the playoffs last year, but luckily for those fans in South Beach, the team seems ready to return to the postseason next spring. Pat Riley, Erik Spoelstra and company had a monster off-season and have immediately put themselves into contention with their moves. Most of the damage came from assuring they’d have at least another year of Deng, Wade and a healthy Chris Bosh, but re-signing Dragic as the point guard was a crucial move as well. As if that wasn’t enough, the Heat may have gotten the steal of the draft in selecting Winslow at 10th overall. 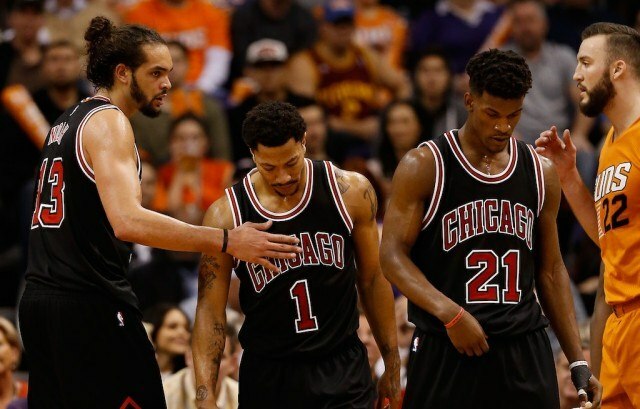 The Bulls will likely continue to be a top challenger to the Cavaliers in the east in 2015-2016. With the Atlanta Hawks losing the underrated DeMarre Carroll over the summer, they could very well take a step back, leaving the door open for the two seed. The biggest change for Chicago was the firing of Thibodeau and the hiring of Hoiberg. Don’t expect the slow-tempo, defensive, board-crashing mindset to change though. The addition of Portis at 22nd overall was a smart selection that should complement the rest of the roster: led by a hopefully healthy Derrick Rose, a stacked front court of Butler, Pau Gasol and Joakim Noah, and a strong bench including Taj Gibson and Nikola Mirotic, look for the Bulls to be the main threat to unseating the Cavaliers in the Eastern Conference. All contract information is courtesy of NBA.com. Follow Victor on Twitter @vbarbosa1127.